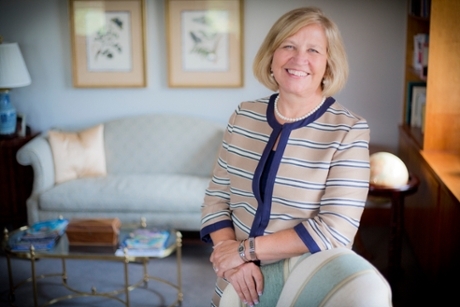 Linda McCauley, PhD, RN, FAAN, dean of Emory University’s Nell Hodgson Woodruff School of Nursing, will speak at a legislative briefing on children’s environmental health in Washington, D.C. in April. Dean McCauley is one of five environmental health experts invited to speak at the event that kicks off the Children’s Environmental Health Network’s annual conference. Hosted by US Senator Kristen Gillibrand of New York, the event titled, “What the Science Says: How Environmental Protection Agency (EPA) Matters to Children's Health," will explore the latest advances in environmental health science and what proposed budget cuts could mean for scientific work in fields including climate change, air and water quality, and chemical safety, with a focus on potential impacts on children’s health. McCauley will discuss the impact of recent and pending EPA actions on pesticides and other chemicals on children’s health. A national leader in research on the health risks associated with environmental exposures, McCauley co-leads Emory University’s Center for Children’s Health, the Environment, the Microbiome, and Metabolomics, known as C-CHEM2 with Dr. P. Barry Ryan from the Rollins School of Public Health. The center is one of one of only 14 children’s environmental health centers sponsored by the National Institute of Environmental Health Sciences and the U.S. Environmental Protection Agency (EPA). The center is exploring birth outcomes and infant health of African American women and babies in Atlanta and how environmental exposures prior to conception, during prenatal development, and postnatally may affect infant health and development. As the top-ranking ranking nursing school for National Institutes of Health funding, the school receives a significant support for its research program from federal agencies like the EPA. McCauley said that federal investment in sponsored research has played an integral role in training future generations nurse scientists and in advancing scientific understanding that has enabled new breakthroughs in environmental health science. The briefing will be held from 10:30 – 11:30 AM Wednesday, April 5, 2017 in the Capitol Visitor Center, Room SVC 212-10.